Building clean, intuitive, modern sites with excellent performance. Mindful Software following industry leading practices to ensure you site has the edge over your competitors. Users expect to be able to navigate quickly, finding information or purchcasing items on any device. Cloud computing is one of the larger shifts in infomation technology in recent years. Companies are realising the benefits of High Availability, scalability on demand and cost savings by pushing some or all of their infrastructure to the cloud. Mindful Software leverages the Windows Azure platform to future proof your investment. Having an application in Google Play, iTunes or the Windows Store is a powerful way of reaching your customer. PC's and laptops are no longer the dominant force in the home, tablets and mobile devices are now the hardware of choice. Data Integration is done right when the business doesn't know its happening. We design and build seamless integration, with data integrity and reliability. Improve the power and flexibility or your reporting, reconciling against previously isolated systems. Data is your companies most valuable asset, leverage to its maximum with warehousing. Mindful Software has extensive experience in delivering global commercial software for ruggedised handheld devices. Barcode scanning tracks inventory from receipt to delivery, offering signature capture and real time updates. 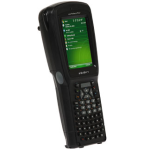 Delivering software with manufacturers such as Motorola, Intermec and Denso.